While race is certainly a hot-button topic, that doesn’t mean it can’t be engaging, accessible, and fun to learn about. 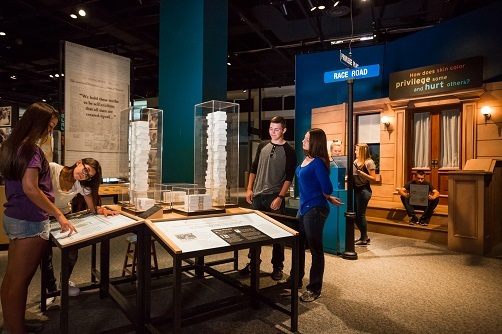 That’s why the American Anthropological Association, in collaboration with the Science Museum of Minnesota, has brought Race: Are We So Different? back to the museum indefinitely. 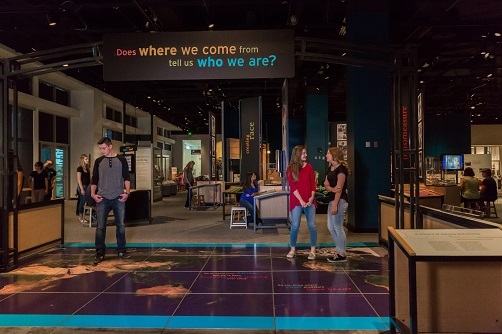 When you first walk in, you’ll see the enormous map on the floor depicting how the human race has migrated all over the planet, mixing and mingling throughout history. “We want people to understand we all share a common ancestor, and that we are 99% more alike than we are different,” she says. There is also The Colors We Are activity, where you can scan your skin and watch it form a piece of a computer screen mosaic next to dozens of other visitors’ scans. Or you can go over to the pharmacy set and get your blood pressure taken while learning about how, even in the 21st century, race effects how people are medically treated.